Forecasting weather before any trips is an important thing for travelers to choose the best time to go. Here is useful information about Halong Bay weather that travelers are recommended to find out as much detail as possible. 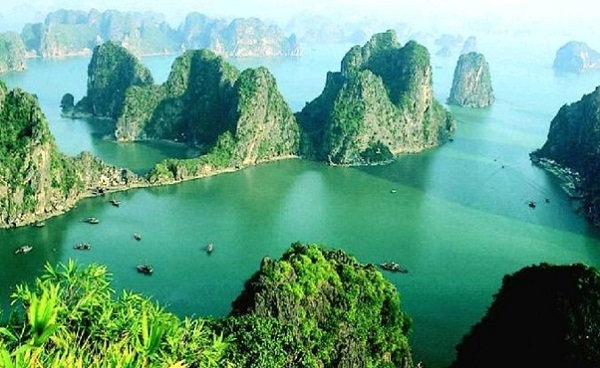 Located in North Gulf of Vietnam, Halong Bay features the typical climate of North as tropical region including four seasons: fall, summer, autumn and winter. However, the weather here can be obviously distinguished with two distinct feelings: a hot and humid in summer and a cold and a drier in winter. With ideal temperature fluctuating from 15°C- 25°C and annual rainfall; in general, between 2000m and 2200mm, Halong Bay weather is quite cool which is suitable for tourist activities. 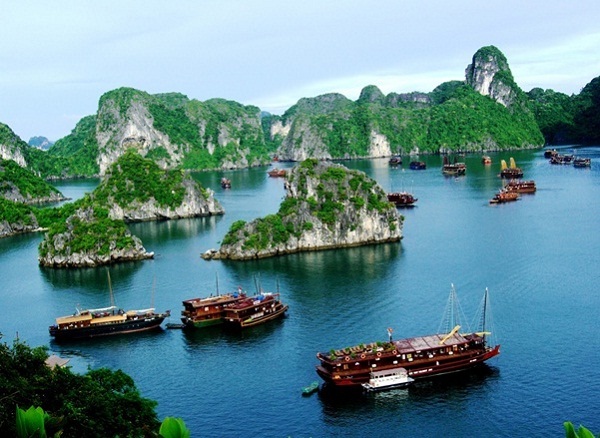 The summer in Halong Bay is usually from June to August, the beautiful time to make a tour to enjoy the best summer holiday. The average temperature ranges between the lows of 17°C to the highs of 32°C. Generally, the weather in August is hottest but also wettest of the year. Sunshine is seen throughout these months range between 8 – 9 hours per day. However, if travelling Halong Bay in this period of time, tourists also should forecast the time of rain weather with the average rain on 14 days of the month to prepare some necessary items. This is also the time when tropical storms are more likely to active. On the other hand, during the winter (November to February), the Halong weather tends to be a lot drier and cooler making it less attractive for travelers to visit. With average temperature from 0°C to 24°C, there is usually around 5 to 8 hours of sunshine per day. The humidity is also high at approximately 83% and fog is an outstanding feature throughout these months, especially in January. Autumn and spring are seasons when weather is not clear to recognize because they feature mix climate of summer and winter. This is also great time for travelers to see the movements of nature. Before traveling Halong Bay, tourists should take consider to chose the best time to go by looking for useful notices about Halong Bay weather forecast. It is one of the most important factors making a perfect holiday.